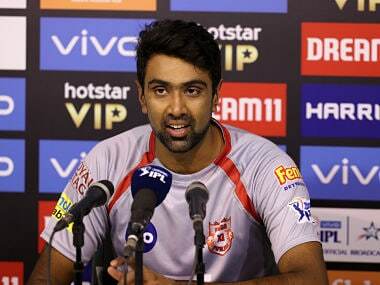 Ravichandran Ashwin is the best Test bowler in the world, according to the ICC rankings. He has many variations in his off-spinning armory: the offbreak, the carrom ball, the arm ball, the top spinner and and occasionally a leg break. He is considered a thoughtful and cerebral bowler who studies the opposition to the last possible detail. He puts to use subtle changes of flight, loop, dip and drift to keep the batsmen guessing. Ravindra Jadeja is as much diametrically opposite a spinner from Ashwin as possible. He bowls the traditional left-arm spin that turns away from the right-handed batsman and the arm ball. He also has the ability to bowl them at slightly higher speeds. That's pretty much it. Beyond that, he just relies on a relentless accuracy and the natural variations off the pitch to defeat the batsmen. Compared to Ashwin, Jadeja might as well be an automaton that delivers slow left-arm spin. There isn't a whole lot in Jadeja's bag of tricks and yet, in the last six Tests (five vs England and one vs Bangladesh) he bagged 32 wickets, just two shy of Ashwin at a much superior average. During the England series, Ashwin was considered the main threat, especially to the left-handed Alastair Cook at the top of the order. It was Cook's dogged batting performance in 2012 that set the table for England's resurgence in that series. For India to limit England's chances, Cook had to be neutralised, or at the very least, limited. Ashwin did dismiss him thrice but it was Jadeja that had the wood on him, dismissing him six times, including LBW thrice. That in essence is Jadeja's tradecraft. The pictures below are the pitch map mountains of all deliveries that Jadeja bowled to left-handed batsmen in the second innings of the Chennai Test vs England (top) and Hyderabad Test vs Bangladesh (bottom). They are representative samples of Jadeja's performance across the last six Tests. He keeps pounding away at a particular length, changing speeds occasionally, till either the batsman is tired of it, or the variation off the pitch does the batsman in. The pitch at Rajiv Gandhi Stadium showed more wear and tear around the left-hander's off stump whereas the one in Chepauk was more benign. As can be seen, Jadeja's grouping was a lot more tighter in Hyderabad than in Chennai, since he knew he was going to get the ball to misbehave more from the rough. That is exactly what transpired on the morning of the fifth day as India looked to push on for a win. In the third over of the day, Bangladeshi left-hander Shakib Al Hasan was caught in two minds as to come forward to smother the spin or to go on the backfoot and play it down. The indecision was mainly due to the length of the delivery from Jadeja, and he could not advance down the track since the ball was delivered at a higher speed than usual. 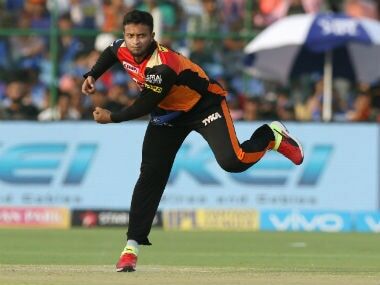 Caught between a rock and a hard place, Shakib was done for when the ball landed on the small patch of rough – hello accuracy! - and burst up towards him and found his glove. The catch was safely taken at short leg by Cheteshwar Pujara, and one of Bangladesh's hope to play out the day was back in the hut within the first 10 minutes of play. As much as Ashwin was instrumental in India's success in the last four months of Test cricket, it has been Jadeja with his superior economy rate (2.13 vs 2.78), and higher dot ball percentage that has allowed Kohli to stem the runs from one end, while having Ashwin or the pacers operate more extravagantly from the other end. Batsmen have been in control more against Jadeja than versus Ashwin and this alludes probably to the predictable nature of lines and lengths that Jadeja bowls, and the lack of any mystery to his spin. That while performing a containing role, Jadeja has picked 32 wickets is a credit to his unflinching accuracy and skill. At the end of it all, cricket is only a simple game, and the successes of Jadeja exemplify that.